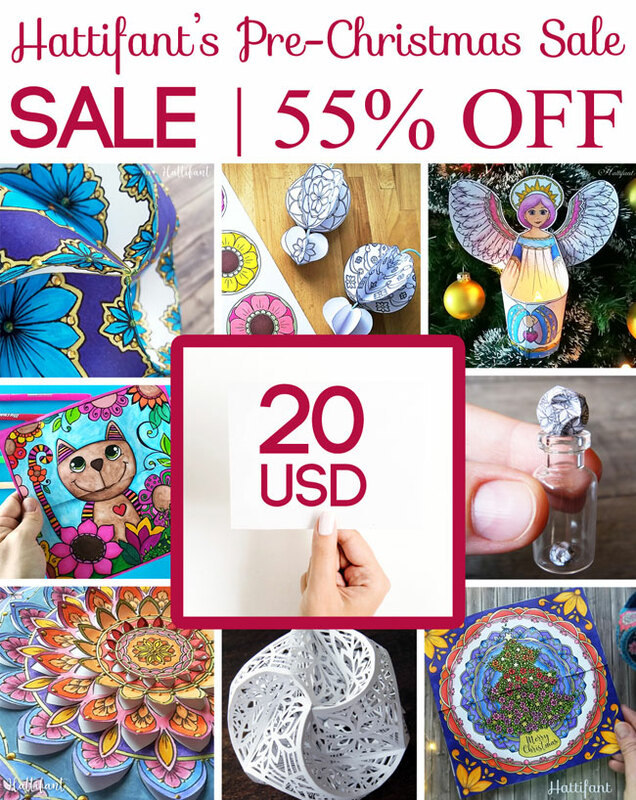 This sale had been a GIANT success and a favorite buy of yours last year. I am now offering this crazily HUGE bundle again for a short period of time! 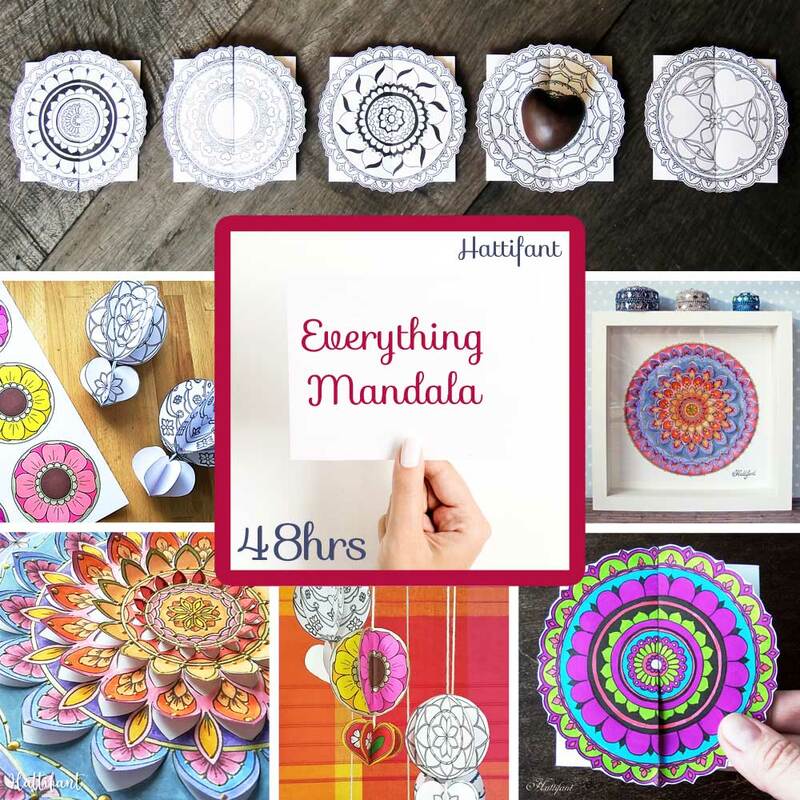 I have put together a GIANT – an enormous – Papercraft BUNDLE that will keep you busy for some time! 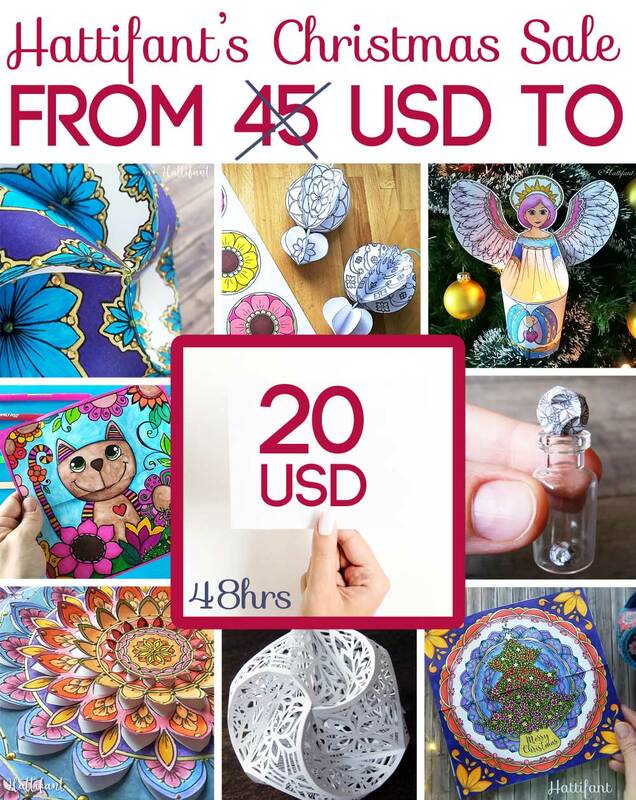 These are 14 Papercrafts in ONE GIANT BUNDLE!!! 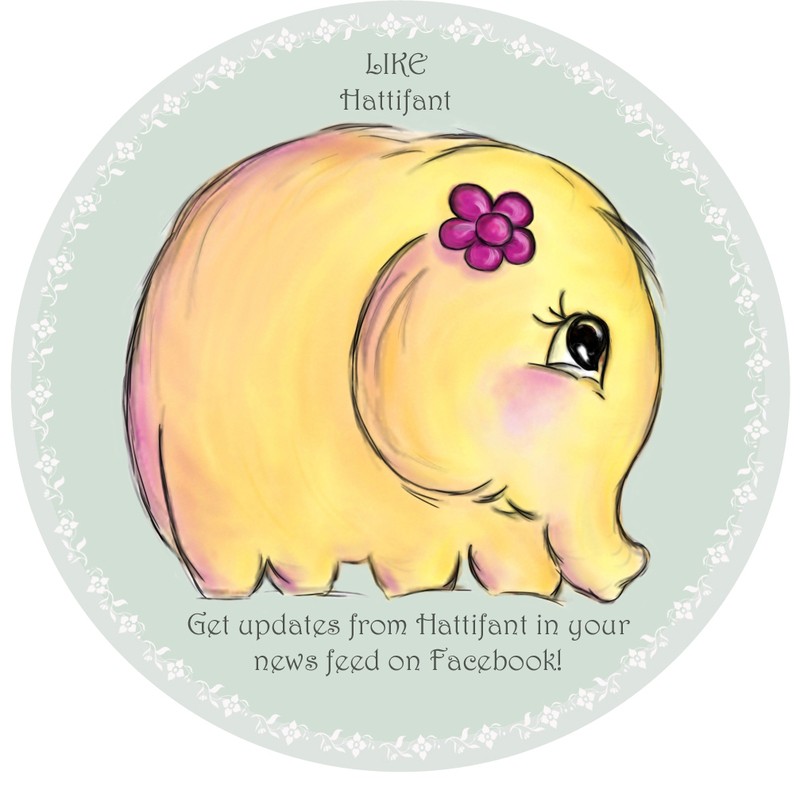 It obtains of course only original Hattifant Crafts and Coloring Pages – tested & approved! 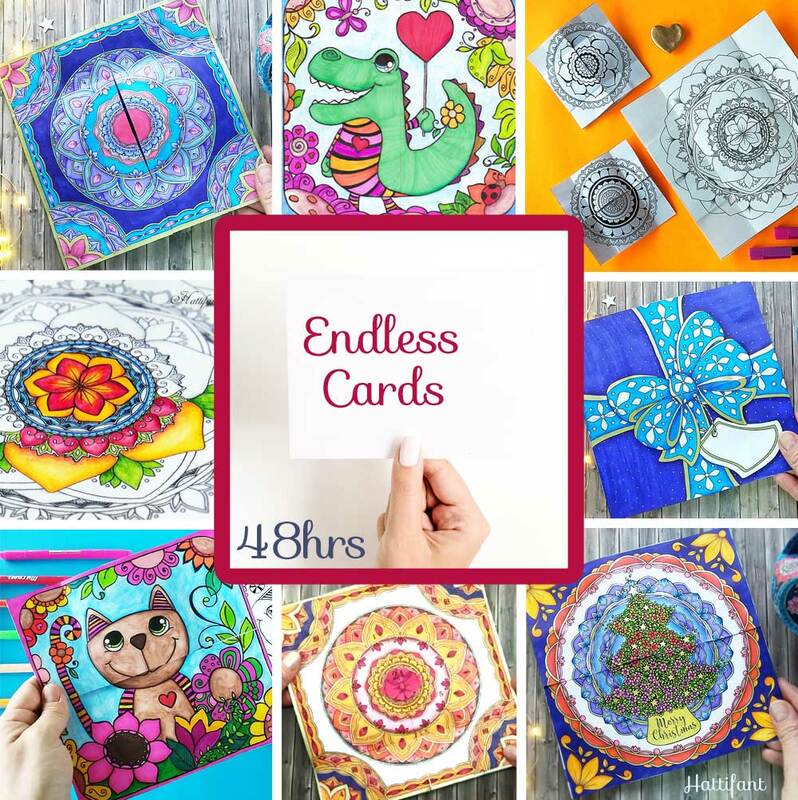 I have packed it with Triskele Paper Globes, Endless Cards, Christmas & Winter Crafts and a wide selection for our Mandala lovers! 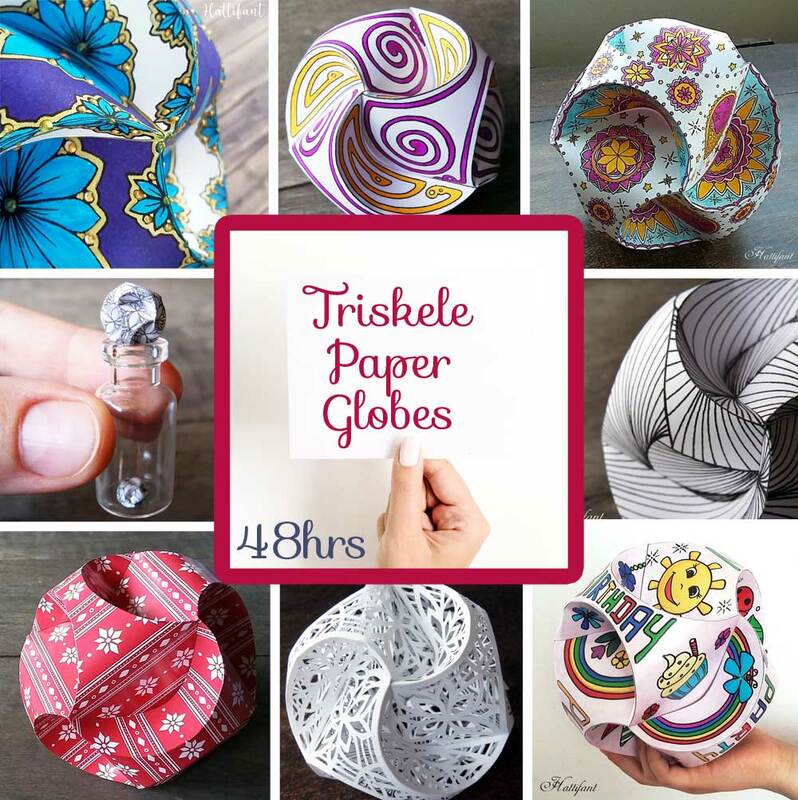 I put together all of Hattifant’s Triskele Paper Globe Sets for you!!! These sets all together are worth 26 USD! All this is would usually cost you AT LEAST 45 USD!!! 14 Papercrafts, pages upon pages of crafts to make and color!!! THIS IS HUGE!!! 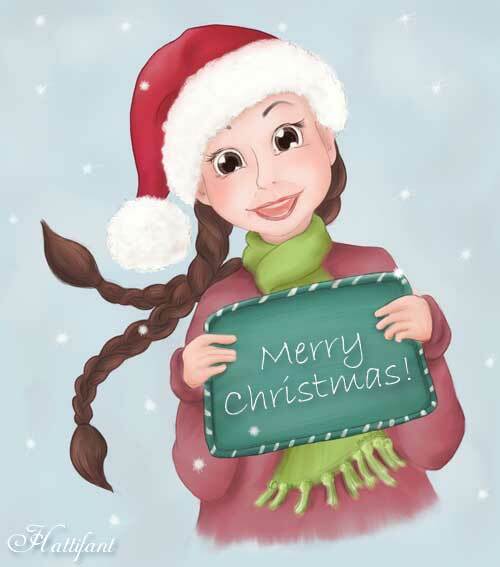 I am wishing you all a beautiful and relaxing Christmas! 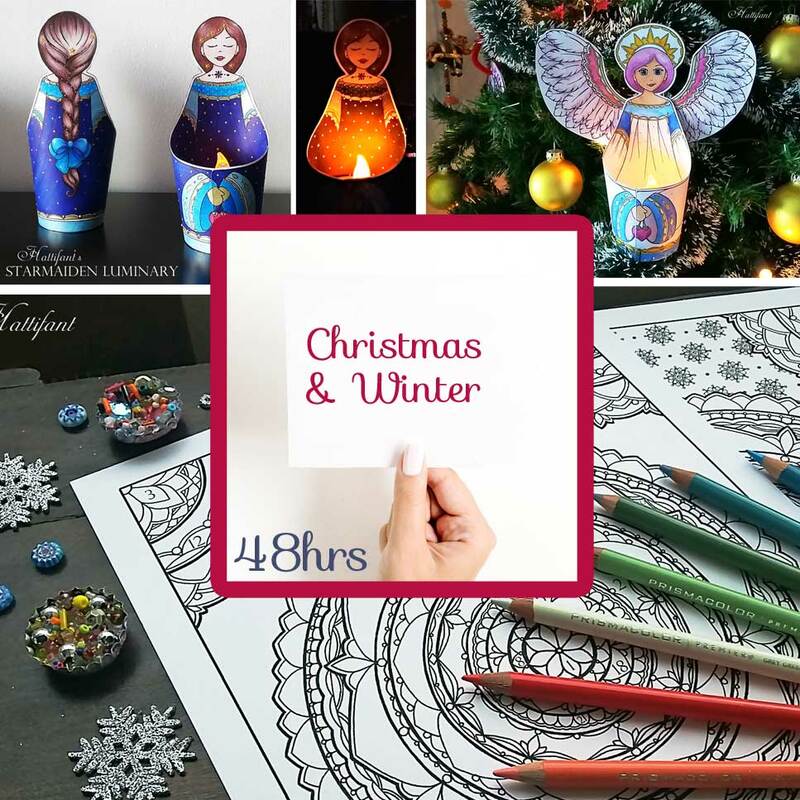 May you be with your loved ones and happily crafting and coloring! With lots of love from me to you and with many thanks for such an amazing year!! !